Extreme cooling is required, of course. 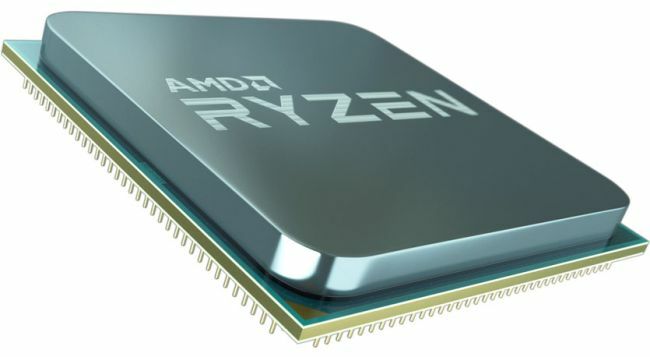 Two of AMD's upcoming second-generation Ryzen processors have already been overclocked to 5.8GHz and beyond, a feat made even more impressive by the fact that all of the cores on each chip were enabled while it happened. 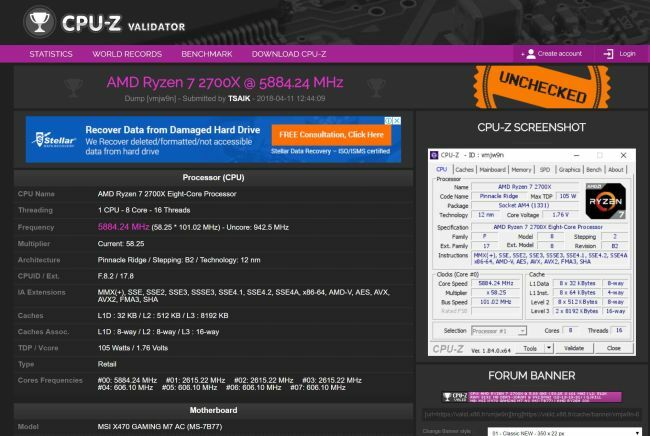 Extreme overclocker "TSAIK" achieved the feat on on AMD's Ryzen 7 2700X and Ryzen 5 2600X. Both had to be subjected to exotic cooling—liquid nitrogen, or LN2—in order to reach 5.8GHz and higher, so obviously running the new chips at that speed is not the least bit practical. We'll have to wait and see how they perform on air and traditional water cooling. In the meantime, it's interesting to see the new processors approach 6GHz. The Ryzen 7 2700X performed a hair better than the Ryzen 5 2600X, reaching 5.884GHz with the core voltage set at 1.76V. That's impressive considering it has eight physical CPU cores. 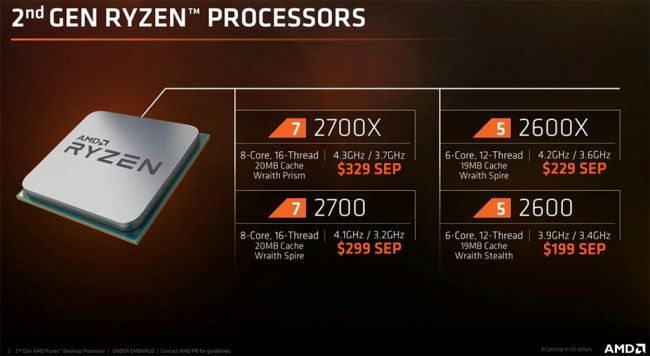 The 6-core/12-thread Ryzen 5 2600X hit 5.882GHz. To put those results into perspective, the Ryzen 7 2700X has a maximum boost frequency of 4.3GHz via Extended Frequency Range 2 (XFR2), while the Ryzen 5 2600X tops out at 4.2GHz. Both of those maximum frequencies are in single-core mode. The processors were plopped into an MSI X470 Gaming M7 AC motherboard along with a single 8GB G.Skill Tirdent Z DDR4 memory module. The new chips are available to preorder now at Amazon and Newegg. Not to be confused with Zen 2 that is due out next year, these second-generation Zen+ chips contain performance optimizations underneath the hood and run slightly faster than the first-generation Ryzen processors they are meant to replace. My 9590 is a touch over 4Ghz and I've not even looked at overclocking it yet. When I've enough money I will be moving upwards to a new Ryzen CPU, they are just a little too expensive at the moment, especially when you add the memory modules and motherboard. It soon adds up to silly money. My last silly money PC I built had to be sold because I needed the money to repair my car.